Cassandra “Nichole” Kidwell is a 2005 graduate of Northern Kentucky University with a Bachelor of Arts degree in Graphic Design and a minor in Psychology. 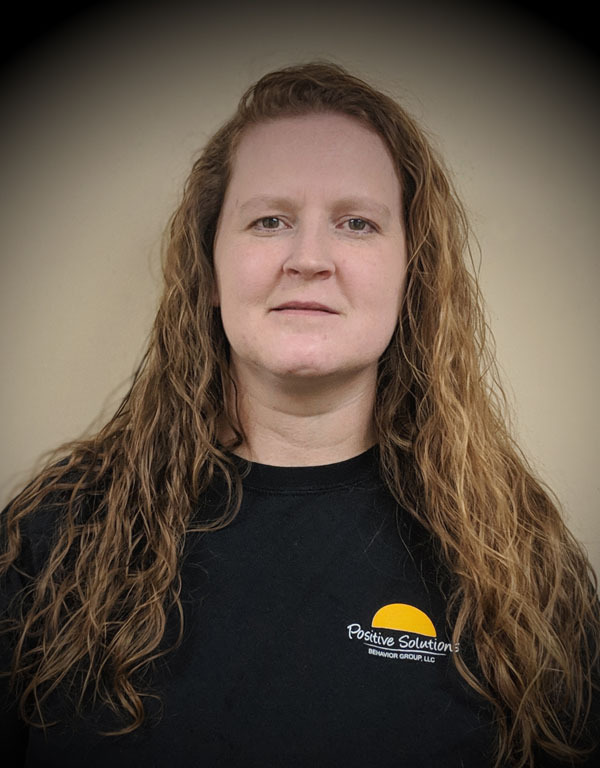 She has been working in the ABA field since 2004 and received her Registered Behavior Technician designation in 2018. Before joining the PSBG team, she was an independent provider utilizing ABA principles for 14 years, an educational assistant in the special education department at Madeira City Schools for 6 years, an in-home nursing aide for an individual with physical disabilities for 2.5 years, and an Intervention Specialist at Applied Behavioral Services for 6.5 years. Cassandra is passionate about teaching and advocating for individuals with autism and other disabilities. Her favorite accomplishments are simply helping her clients achieve their goals and unlocking their potential. In her spare time, Cassandra enjoys spending time with her husband, Mark, and playing with her son, Raylan, listening to music, and watching old shows on Netflix. She also has a dog, Hoover, and cat, Shadow. She lives in the small town of Crittenden and hopes to help PSBG spread their services further south one day.